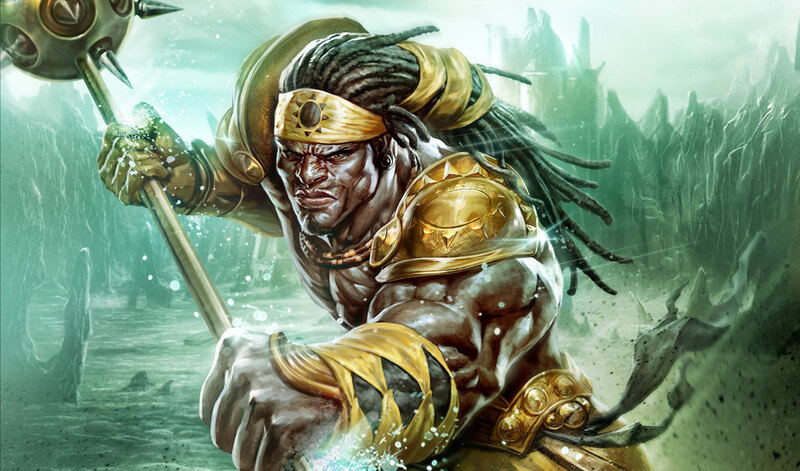 The thought of an action/hack’n’slash role-playing game which puts a hefty focus on co-operative play sounds like a winning formula to me, in principle. 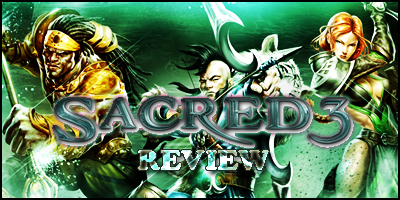 Things don’t always pan out the way you‘d expect them to in gaming, so how did the next in an increasing line of Sacred games, Sacred 3 on the Xbox 360, live up to my hopes and desires? Sacred 3 tells the tale of Sister Telari returning to the Seraphim at just the right time to forge an army of allies from different lands. These warriors, heroes even, have the task of preventing the evil Lord Zane from completely taking over Ancaria and hopefully defeating him once and for all. Prepare to face all his minions and generals standing in your way, this is war and you need to make sure victory is yours. The selection of heroes on offer consists of Marak (Safiri warrior), Vajra (Khukuri archer), Claire (Seraphim paladin), Alithea (Ancarian lancer) and Kython (Malakhim assassin). A character to suit most players preferences and I was personally drawn to the Safiri guy who is an absolute brute. They all have skills unique to them and if you want to try them all there’s more than enough character slots to do this which is rather useful. I must mention the character customisation; compared to other RPGs it looks pretty basic… because it is. You can unlock a couple (and I mean just a couple) of new special moves or weapons by natural progression and each one can be upgraded slightly to increase critical hit chances and enhanced power. That’s about it though; there are no real attire changes you can make and the lack of variety in abilities and weapons is a shame. There is a large amount of spirits to choose just one from to place into your weapon whilst you bash away. These give with one hand and take away with another, such as the Dwarf spirit that grants additional critical hit chance and damage but your character takes more damage. Each spirit as a personality all of their own that pops out of your weapon at times to make a comment or in one spirit’s case to smooth talk anything and anyone. A little bit of fun to listen to but negative effects make some not even worth using. Now, actually playing the game… well most of the areas you travel to on the map of the whole land are unlocked. You might not have enough upgrades or powers to jump straight to the places that recommend a much high level to take part but it’s up to you in what order you do them if going from start to finish in that natural order is too mainstream. Throughout the land there are three general types of missions and the best of these are the main story missions. Here you trek through barrages of enemies including Grimmocs, Zombies and Spiders before facing a boss. The bosses for the most part aren’t too tough and even the ones that could destroy your character with one major charged attack you can avoid without too much thinking. Bashing the attack button with occasional special moves and the odd dodge roll will get you far in this game. The other two are side-mission types and are pretty worthless unless you need a quick boost of your gold balance. Whether it’s holding off a few waves of enemies or clearing out a small area inhabited by these evil beings, it’ll be over in less than five minutes. Every single mission is co-operative for up to four players in total but if you don’t have any real players in your game then there’s absolutely no support. They haven’t added in A.I. team mates to give you a hand and because of this it can get a bit lonely. Of course I can jump in a random person’s game by checking the match list; however that comes with a few irritations. Most people don’t realise they’re automatically set to public lobby when playing and so people generally left when I joined their game or the host kicked me. Finding people at the same character level and wanting to do the same areas limits your options again. If I’m the host and I vote, for example, the Zhurag mission then the other person or people all vote different it’ll choose one at random. To progress past certain checkpoints you all need to reach the magic circle to advance, when awkward gamers won’t move to it you’re pretty stuck. It needs a vote to kick so that the host’s can’t ruin the experience for others. Add to this the lag and buggy nature online which saw interactive objects not work meaning we’d have to all quit out, it makes for an even less enjoyable game online. 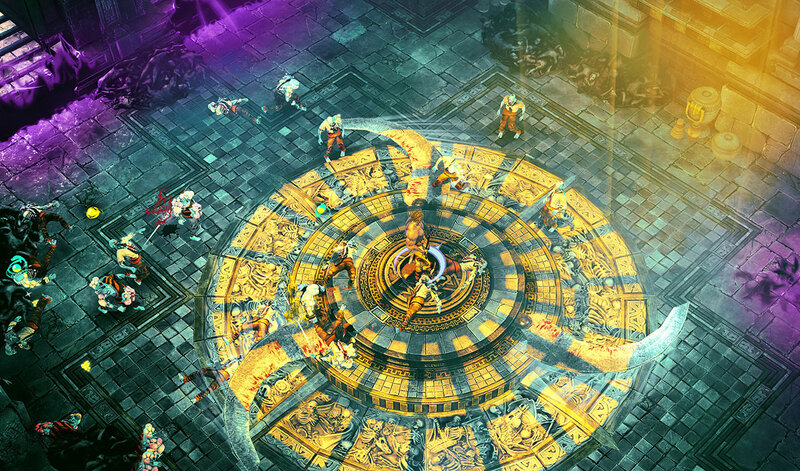 Although there are plenty of hours to be gotten from Sacred 3, it soon becomes slightly boring to the point where you are just tapping a button hoping to get to the end quickly. The voice acting is hit and miss with too many poorly timed or repetitive jokes. There isn’t anything it excels at, it’s the most loneliest I’ve felt in a co-op game. Been gaming casually since the SNES as a youngster but found my true passion for games on the Playstation 1 (the forbidden word ooo). My addiction grew to its pinnacle with the purchase of an Xbox 360 & Xbox Live Service. A recovering GS hunter that will still play literally any game. Matt Alexander Feathering the brake and gas is working pretty well for the sports car. I’ll keep practicing it, but at least I’m not coming in last with this car anymore. Thanks for the tip!